The Lassen Land & Trails Trust’s fall 2004 newsletter described Stan Bales as “an incredible example of a government employee who has gone well beyond normal expectations to the benefit of our community.” This refers to work Bales did in his outdoor recreation planner staff position with the Bureau of Land Management’s (BLM’s) Eagle Lake Field Office in Susanville, California. A school group visits the Susanville Railroad Depot to learn aboutlocal history. Photo by Stanley Bales. 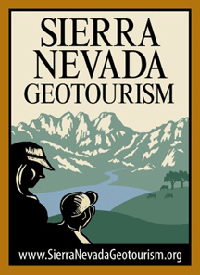 With the support of BLM’s management and that of other organizations, including the Trust for Public Land and the American Land Conservancy, Bales nurtured the BLM and local community’s 10-year effort (1976—1986) to convert an abandoned railroad into a 30-mile trail from Susanville to Westwood; 25.4 miles of which are on the old railroad grade. Bales stresses that this would not have been possible without BLM’s leadership and the support of former Congressman Harold T. “Bizz” Johnson, who was instrumental in helping establish this “rail trail.” The trail, now designated a National Recreation Trail, was named in Johnson’s honor in 1983 through an Act of Congress. The central character in this story is not the trail, however; it is Susanville’s historic railroad depot, now the main trailhead. In 1987, the Southern Pacific Railroad proposed that the Susanville Fire Department burn down the depot as a training exercise before the railroad sold off the land. “Save the Depot,” a community-based coalition, was formed to preserve this local historical resource. Bales, the BLM, and the Lassen National Forest Service joined the effort because of the historic connection between the depot and the Bizz Johnson Trail, managed by BLM and the Forest Service. As word spread, others joined the cause, including the Susanville City Council, the Lassen County Board of Supervisors, and a host of local groups. “Save the Depot” achieved its goal. In 1988, it was established as a nonprofit, the Lassen Land & Trails Trust (LLTT), and became the owner and manager of the depot. Under LLTT’s leadership, the depot was restored. Key to this effort were Jim Saake, the first President of LLTT; Phil Nemir, who followed Saake as President; and Lon Fitton, who played a major role in the restoration work. In 1994, the depot was reopened and began serving as a trailhead and visitor center for the Bizz Johnson National Recreation Trail. Now listed in the National Register of Historic Places, the depot houses a museum and the Lassen County Chamber of Commerce. Together, the Bizz Johnson Trail and the depot have become what Bales aptly describes as “an economic and community asset” for the entire region. Activities are held there throughout the year, including a nature camp for kids, hikes, school and group tours, a farmers’ market, and weddings. It is also the staging ground for the annual Rails to Trails Festival and the Bizz Johnson Marathon. 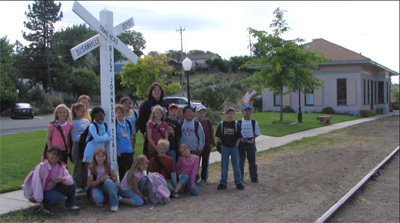 When the California Legislature enhanced the state’s history curriculum to require that students learn about their local history, the depot was the natural learning ground for Susanville youth. Bales notes that over the past 13 years “a whole generation has grown up knowing about Susanville’s history and the important role the railroad played in shaping the region.” This, along with the many activities the depot will host for residents and visitors for years to come, assures that this history will live on.